Today in Masonic history James Hamilton, 1st Duke of Abercorn is born in 1811. James Hamilton, 1st Duke of Abercorn, was a British conservative politician and peer. Abercorn's father, James Hamilton, Viscount Hamilton, died when Abercorn was 3. His mother Harriett Douglas was the daughter of the 14th Earl of Morton. In 1818 at the age of 7 Abercorn succeeded his Grandfather in titles. Abercorn went on to be educated at Harrow School and Christ Church, Oxford. He received an Honorary Doctorate of Civil Laws by the University of Oxford in 1856. In 1844 Abercorn was made a Knight of the Garter by Queen Victoria. This was at the relatively young age of 33. In that same year he was made Lord Lieutenant of Donegal. In 1846 Abercorn was appointed a Privy Counselor and was Groom of the Stole to Prince Albert. He would remain a prominent figure in the royal court for the next two decades. In 1866 he was appointed Viceroy of Ireland. He resigned in 1868 after the election of 1868 which was the first election after the Reform Act of 1867. The Reform Act enfranchised members of the male working class of in England. This caused the conservative party candidates to lose the election. Abercorn was a member of the conservative party. He would be reappointed as Viceroy in 1874. In 1868 Abercorn was created Marquees of Hamilton in the peerage of the United Kingdom. 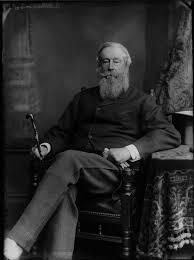 He was also created Duke of Abercorn, this was in the peerage of Ireland. This was on top of the fact that Abercorn had been noted by The Times that he was 1 of 3 nobleman to hold peerages in all three Kingdoms, England, Ireland and Scotland. In 1874 he was chosen Grand Master of the Grand Lodge of Ireland. He would hold that position until his death.